Children are often the focus of a divorce case. 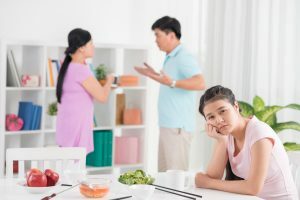 A divorce significantly impacts the children, and children often have strong opinions about what they would like to happen in terms of the time they spend with each parent and other custody issues. To the extent possible, it is important that children not be exposed to the details of the custody case or the conflict between their parents. Judges are often very reluctant to have a child testify in court in a custody case, and a parent should be reluctant to place the burden of having to choose between parents in court on their child. Where there are considerable custody issues, however, the court has tools available to help the court gather information important to the custody decision, including the children’s preferences. First, the court can order a custody evaluation. There are private custody evaluations and court custody evaluations. The benefit of a court custody evaluation (a custody evaluation performed by a court custody evaluator) is that the evaluation is free. The drawback is that the evaluator may not have the luxury of spending a lot of time on the evaluation. A private custody evaluation involves the appointment of a mental health professional in private practice to perform the custody evaluation. The benefit of a private custody evaluation is that the process is often more detailed, but the cost can be significant. Both court and private custody evaluations will involve home visits and interviews of both parties and likely the children. A private custody evaluation also often involves psychological testing of both the children and both parties, interviews of third parties, and review of documents. At the conclusion of the evaluation, the evaluator makes recommendations regarding the legal and physical custody arrangement and access schedule that are in the children’s best interest. A second tool available to the court is appointing an attorney for the children. The court can appoint an attorney to fulfill one of three roles: (1) best interest attorney (“BIA”); (2) child’s advocate attorney; or (3) child’s privilege attorney. A BIA advocates for the best interest of the children. The BIA is not bound by the wishes of the children, although the BIA must convey the children’s wishes to the court, even if they are different from the BIA’s recommendations. In formulating the BIA’s recommendations, he or she makes home visits, talks to the children, and talks with third parties as part of his or her investigation. A child advocate attorney, on the other hand, is appointed to represent an older child determined to have “considered judgment”. A child has considered judgment if the child is able to understand the risks and benefits of the child’s position, and the child can reasonably communicate the child’s wishes. A child advocate attorney functions just as an attorney for an adult client does and must advocate for the child’s wishes. A child’s privilege attorney is appointed solely to determine whether to waive a child’s mental health privilege in a custody case. An attorney for the child must also be paid, and the court will allocate responsibility for the attorney’s fees between the parties. If you have questions about Child Custody, Guardianship or any other Family Law issue please contact Catherine H. “Kate” McQueen at (240) 507-1718 or  kmcqueen@offitkurman.com. 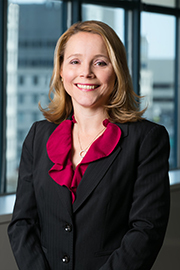 Catherine H. “Kate” McQueen is a family lawyer and principal in Offit Kurman’s Bethesda office and is licensed to practice in Maryland, Virginia, and the District of Columbia. Ms. McQueen focuses her practice on the many legal issues that impact families, including all the issues arising out of a divorce, such as custody, child support, alimony, and other financial and property issues. She also has extensive experience in guardianship matters for children and incapacitated adults, including assisting clients in petitioning for guardianship, serving as court-appointed counsel for alleged disabled persons, and serving as court-appointed guardian for individuals when their family members or friends are unwilling or unable to do so.